“STC Florida Seeking Virtual Panelist!” was the subject line of one of our email blasts complete with a megaphone emoji and all. 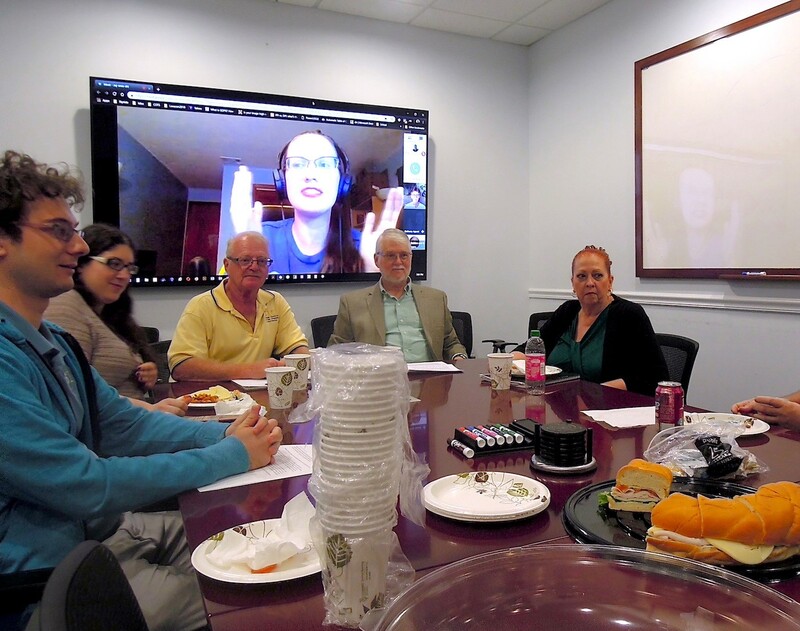 All of these meetings were revolutionary for our chapter, thanks in part to some minor tweaks in our virtual technology and in-person networking spaces—as well as enhanced focus on the experiences of virtual attendees. We began to designate an online moderator for each meeting, which helped us seamlessly incorporate the lively chat box discussion into all audience feedback and Q&A activities. Plus, all meeting topics this past year were selected based on feedback from this summer’s chapter survey, because your voice matters to us! 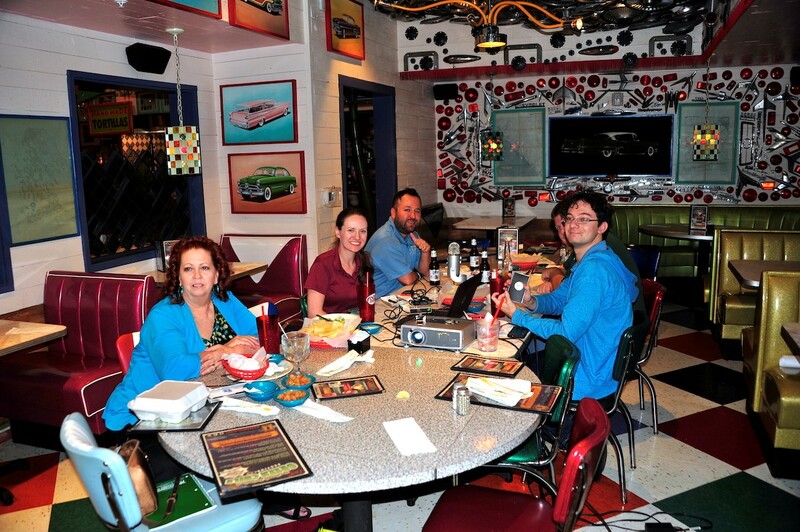 Our in-person networking group enjoys a meal at Chuy’s while several online attendees call in for the August meeting. 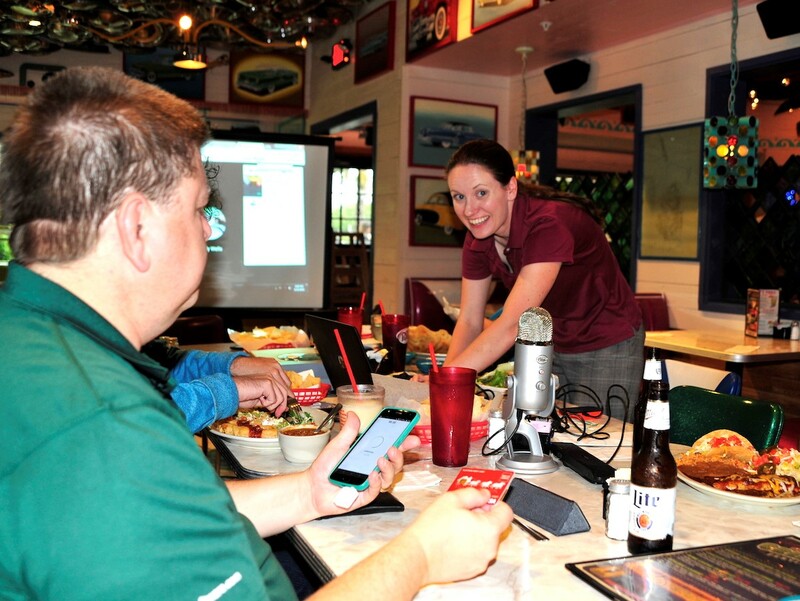 Bethany Aguad runs the in-person side of the call while we experiment with a portable screen in a restaurant dining room. From online, Emily Wells serves as our first dedicated online moderator while Kirk St.Amant delivers his presentation. 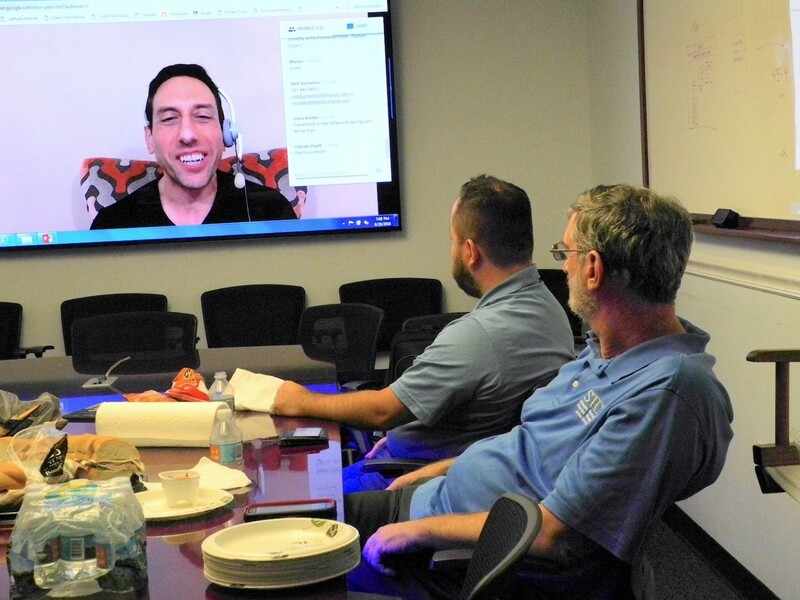 In Todd’s September presentation, he took a methodical approach to the topic of virtual teams by first addressing some of the challenges that can arise (such as lower visibility and less clearly defined responsibilities). Then he tackled how we can address these challenges, which resulted in some lively Q&A from the audience. I had the pleasure of serving as online moderator, and I sincerely appreciate the high level of activity we had in the chat box! 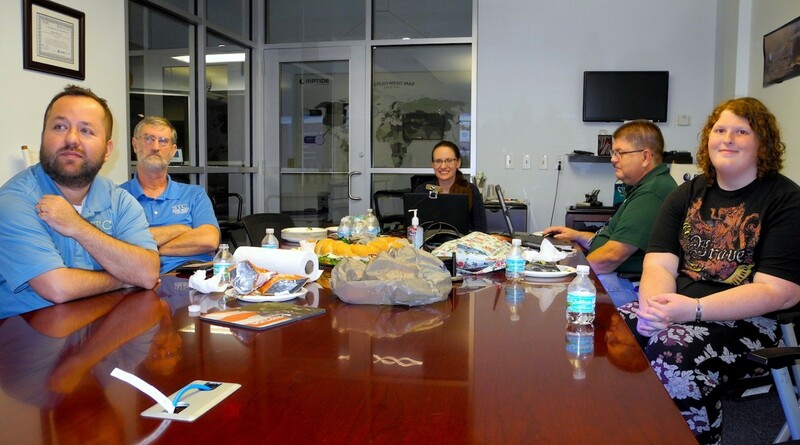 Our in-person networking group gathers at Riptide Software to revisit the conference room format for in-person networking. Todd Deluca presents to our on-site and virtual attendees. 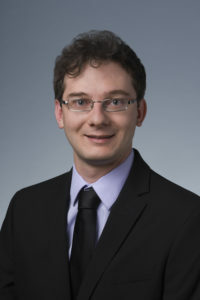 Nick Ducharme moderates the online chat from afar. The August and September presentations were hard acts to follow. To keep our quality standards just as high in October, we decided to continue making chapter history. A mixed-media panel discussion. It was an ambitious goal that we had never previously attempted. We had our four in-person panelists already locked in, and we technically could have stopped there. Instead, we made the call to reach out for volunteers who would like to serve as a virtual panelist. The response was overwhelming, and thus overjoying. Every response to our prompt was a wonderful read. We couldn’t pick just one virtual panelist in the end, so we ended up with two. I led the panel discussion from the on-site location while Bethany Aguad moderated the chat. Topics of discussion included dealing with intimidation, working with subject matter experts who don’t take well to criticism, effective cross-cultural communication with subject matter experts, and more. Discussion moderator Nick Ducharme (on left) and online chat moderator Bethany Aguad (on screen) address all panelists. On-site panelists from left to right are Emily Wells, Dan Voss, W.C. Wiese, and Debra Johnson. 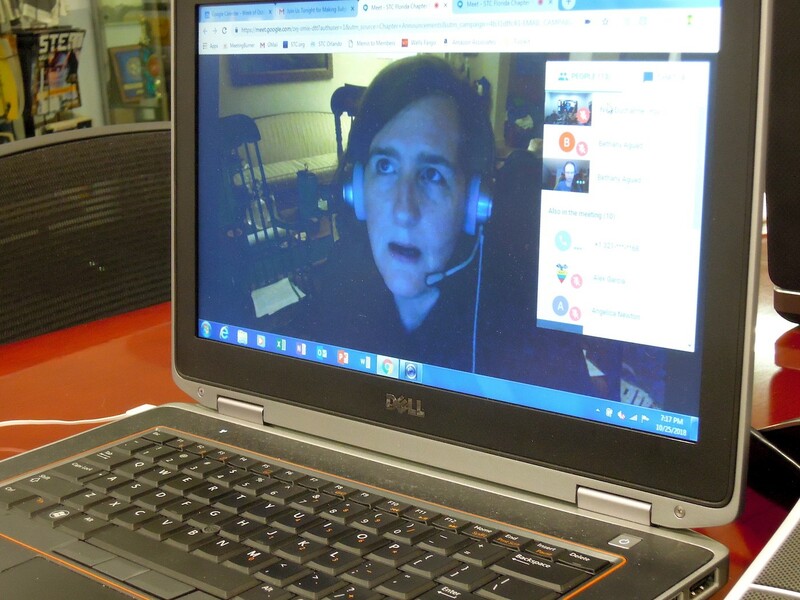 Virtual panelist Beth Anne Carr responds to a question. 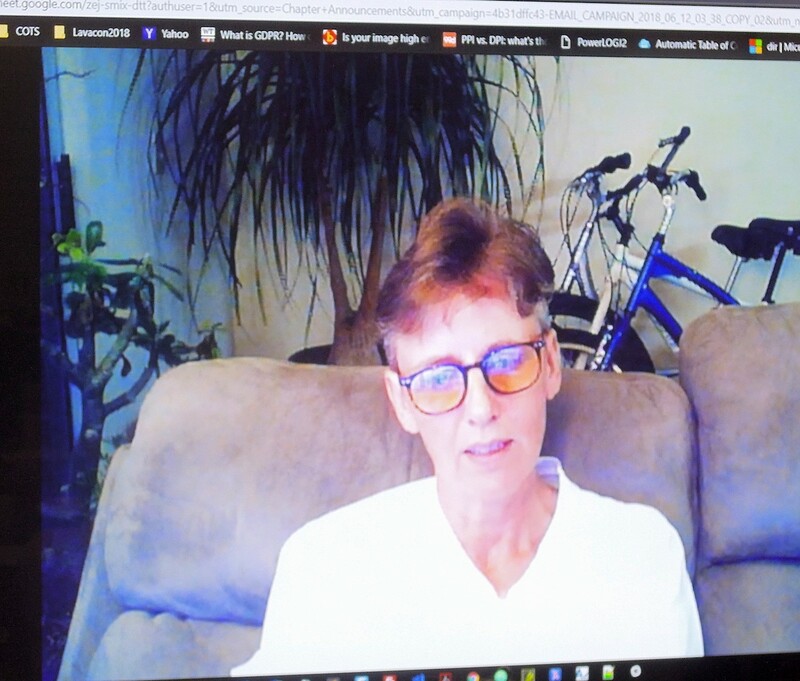 Virtual panelist Tina Kister responds to a question.